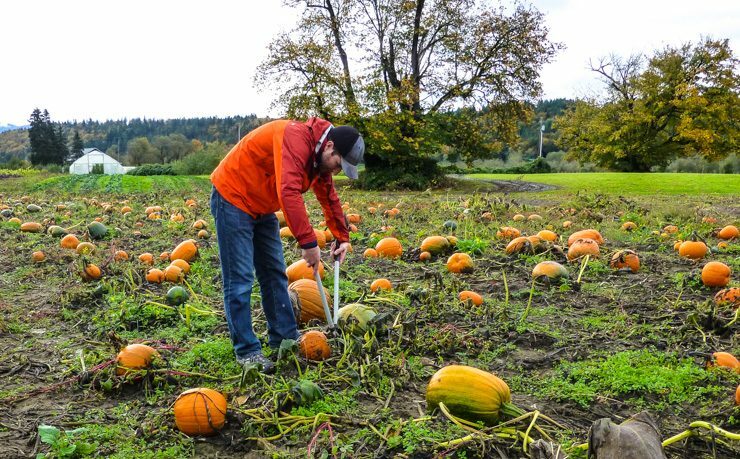 Pumpkin Patch Picking on Seattle’s Eastside. The countryside brimming around Seattle’s Eastside is a great place to go in the fall. 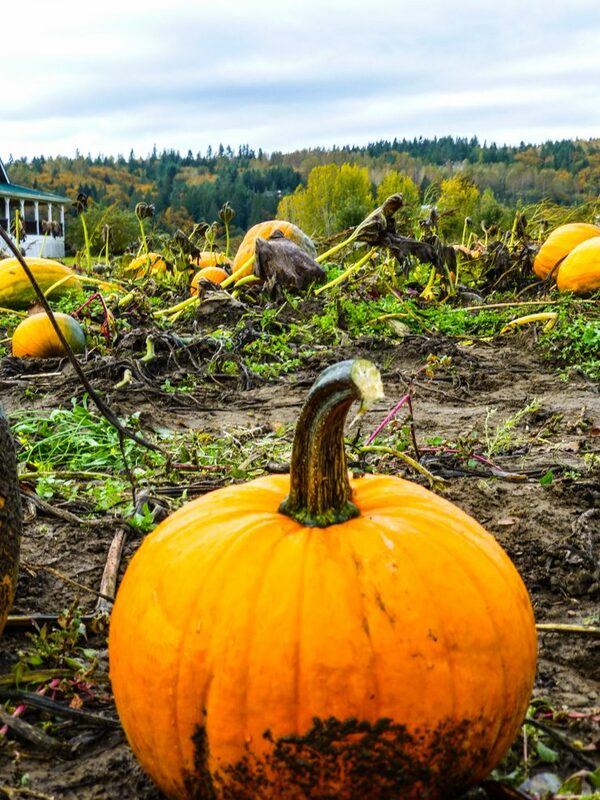 The Cascade Mountains are in view on a clear day and the trees are awash in red, orange, and yellow, plus there are darling, quaint pumpkin patches. Pretty little farm with cute little pumpkin patch. Last year we waited a bit too long to go to the pumpkin patch and some of the best ones ran out of pumpkins. This year I didn’t want that to happen so made plans to go this past weekend, but then the wind storm of the century was being touted. Luckily, the weather ended up being no big deal (so good thing we stocked up on all that canned soup, ha). We took advantage of the surprise Sunday sunshine peeking through the clouds and headed to the pumpkin patch. Pumpkins get picked fast on the Seattle Eastside. Beforehand, though, I had trouble deciding which one to go to. Remlinger Farms and Fox Hollow Farm are famous in the area for their Fall Festivals running every weekend in October. But the admission fee is roughly $20 per person. Though we’ve heard good things about both those places, last year we decided Lulu was too young to warrant paying the admission fee, and I still wasn’t sure this year made sense to do so either. But I wanted something a step up from last year, which had involved visiting a farm that was a pumpkin patch and only a pumpkin patch (This year, I had visions of apple cider dancing in my head). So I was glad when my friend told me about Jubilee Farm’s Harvest Festival when we were hanging out Friday night. Jubilee Farm is an actual working farm located in Carnation (about 25 miles east of Seattle) that focuses on many different crops, but has a few extra frills in autumn for some pumpkin patch fun. 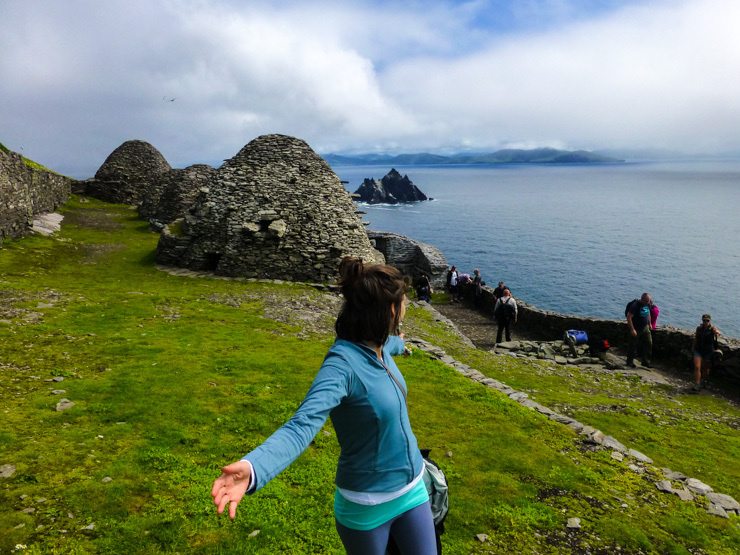 It’s not quite as festival feeling as Remlinger and Fox Hollow – but that was ok with us this year. Those fall frills at Jubilee Farm include a hay maze, fresh pressed hot apple cider (and demonstrations on how they make the cider), homemade soup (they were handing out pepper squash soup samples when we were there – so good! ), cows and ducks onsite, visiting food trucks, freshly picked vegetables for purchase, and hay rides. And did I mention the apple cider? 🙂 It was delicious and totally satisfied my cider craving. Cider for sale on the patio! Fun little hay maze. Lulu got so excited when we found the exit! Tom chopping apples for cider. Tom was so excited about the cider he ran to grab a couple cups to drink on the tractor-pulled hayride. This wasn’t actually the best plan because the hayride took us to the pumpkin patch where it was quite hard to pick pumpkins while simultaneously wrangling a toddler and holding cups of cider. Cider, pumpkins, and my only little pumpkin makes for a good PNW day. So we took our time at the pumpkin patch, sipping cider and taking in the gorgeous scenery before picking our pumpkins. Aren’t I making this sound idyllic? That actually lasted for about 45 seconds. Because in addition to beautiful scenery and fresh apple cider, we had a pouting toddler on our hands who couldn’t understand why we couldn’t keep riding the tractor and lost her mind every time the tractor came back with new people and she wasn’t on it. Why is the tractor over THERE and I am over HERE? Being a toddler can be so hard sometimes. Picking pumpkins quickly before the tractor comes again. So Tom and I ended up chugging our cider, then Tom ran to grab some shears and we cut off some pumpkins that looked like good carving ones, stuffed some gourds into a bag since I wanted some for decoration, and told Lulu the tractor would be back soon so please just enjoy the pumpkin patch in the meantime for crying out loud! Silly parents, who cares about pumpkins when there are TRACTORS?! I’m outta here. She went from pouting to giggling as soon as we were back on the tractor hayride, which also went by the pasture of cows on the way back much to her delight. She preferred the bench on the side instead of the hay bales in the middle. The moos, as Lulu calls them. Which brings me back to the fact that Jubilee Farm is a working farm. The friendly owner was actually on the hayride with us out to the pumpkin patch and said the pumpkin patch fun was actually a great way to let new visitors (like ourselves) know about their co-op program. Members can come and even pick their own vegetables. Or, if you’re not a member, you can buy it in the barn/store. The co-op sounded quite appealing to me. My husband could sense this so he kept giving me ‘this sounds expensive, stop asking questions’ looks. I ignored them. “We actually have farm school every summer,” the owner replied, adding that he used to teach it, but now his son does. Family-run farm, tractors, farm school, cattle, pumpkins, Pacific Northwest views. Yes, Jubilee Farm is the real deal. 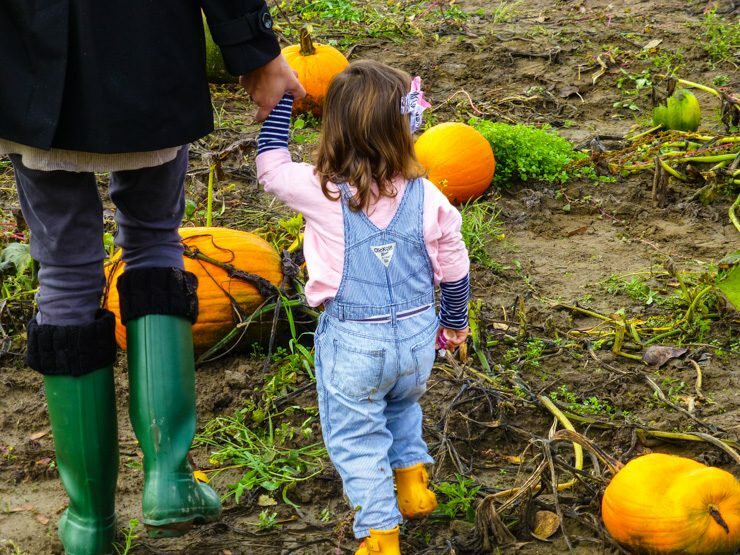 So if you want a pumpkin patch experience that doesn’t have a high entrance fee and lots of fanfare, but still gives you a pick-your-own-pumpkin country ambiance with fun extras like cider, hay rides, animals, and mazes, Jubilee Farm is a great place to head before Halloween. Plus, Jubilee Farm has some great looking pumpkins! Hours: The Harvest Festival runs on Saturdays and Sundays in October from 10 a.m. to 5 p.m. Parking: Free! There are two lots, both right by the main barn.